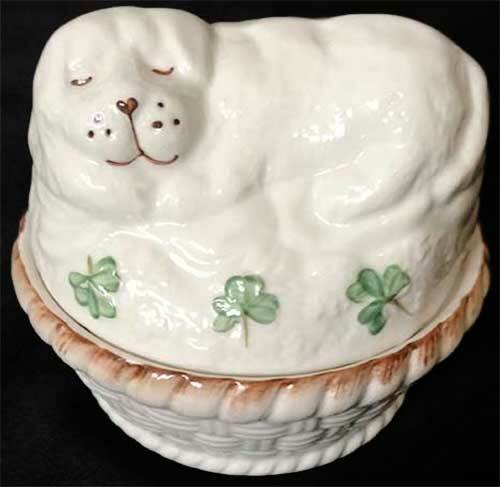 The lid of this Belleek box features a resting puppy that is enhanced with hand painted shamrocks, while the base, that is enhanced with a basket weave motif, forms the bed. 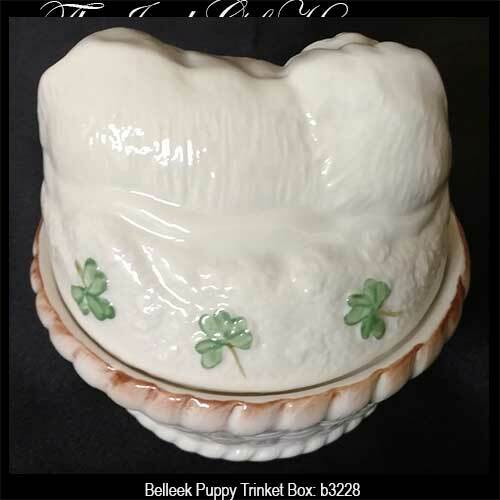 The Belleek puppy box is made of fine china and measures 4" wide x 3" tall. The Irish box is suitable for trinkets and jewelry.